Here at Test and Review we love to deal with the latest TV sets on the market. 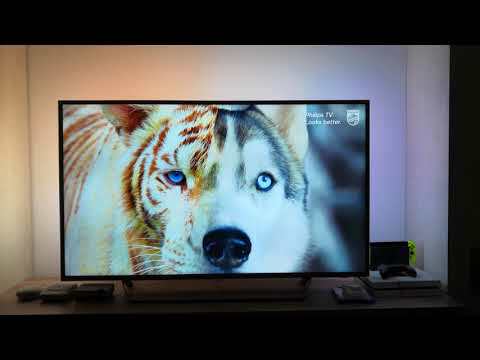 Today we are taking a closer look at the premium 4k LED TV Philips 50PUS7303/12 which incorporates some of the latest technologies by the brand offered in a relatively affordable package. The looks of the Philips 50PUS7303/12 very much reminds me of the Sony W series couple of years ago which I really loved. I think Philips did their research well and made a simple and clear design that would be accepted easy by most consumers. The 50PUS7303/12 is a ultra-slim television with thin frames and Ambilight. It is also an Android enabled device so you are able to enjoy thousands of apps directly from Google Play Store using the intelligent Google Assistant. Philips 50PUS7303/12 is not a cheap TV but it can be found in online stores on a very good deal for under £700. We recommend the Philips 50PUS7303/12 because of its good value for money ratio. The 4k resolution, proper image quality and HDR+ technology make the movie experience great on the 50-inch screen. It is a great mid-range television that competes directly with offers from LG, Samsung and Sony.